Many fans and pundits have been quick to write off Wayne Rooney’s chances of playing a part for England at Euro 2016, with the Manchester United star not hitting the same heights as in previous years. A recent two month lay-off due to a knee injury may have denied Rooney the opportunity to convince his doubters that he still has the quality to make a real impact in France, but Roy Hodgson has adamantly stated that the nation’s captain is an integral part of his squad due to his leadership qualities and the array of skills he brings to the table. The staunch backing received from his manager would suggest that Rooney will not only be part of the 23-man squad that travels to Euro 2016 in the hope of surpassing their darkhorse tag with Bookies.com, but also be the leading figure that England need when they walk out onto the pitch. The opportunity to end fifty years of hurt without silverware in a major international tournament should be all the motivation that Rooney and his England team-mates need to strive for glory. Impressive performance in recent friendlies against France and Germany may have come without Rooney on the pitch due to injury, but seven goals during England’s flawless qualifying campaign is proof, if needed, that he more than deserves to be selected for Euro 2016. Rooney would slot perfectly in the number ten role which, although may be further back than what he would prefer, could make England even more dangerous in the final third; his place on the pitch may depend on which formation Hodgson opts for, although it would be safe to assume that he will stick with the 4-2-3-1 that proved effective throughout the qualification campaign. Rooney would slot in nicely behind Harry Kane, with his vision and range of passing also allowing the likes of Ross Barkley and Jamie Vardy (if they are picked to start in the wide positions) to come into the game and make a big impact. Rooney will know himself that he has not been at his best this season for Manchester United, even if his goals for England proved to be crucial in their qualification for Euro 2016 as he finished as the leading scorer in the team ahead of former team-mate Danny Welbeck. It could be argued that Louis Van Gaal played Rooney in a role that he was not accustomed to; Rooney has never played as a number 9 in his career, and although the 4-2-3-1 provides scope for movement, it can lead to the striker being isolated and lacking support. There is no question that Rooney still has the quality to score goals at the highest levels, and although he may not be amongst the top names to finish the tournament as top scorer in the latest Euro 2016 betting odds with Bookies.com, his vast experience and quality will be crucial for England this summer. 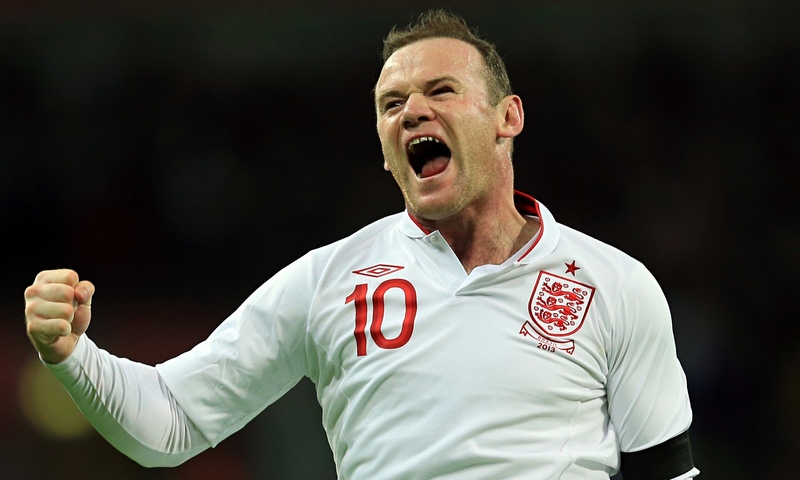 Many fans and pundits will pick their own team to start against Russia as the Euros heat up for England, but Rooney simply has to start based on the fact he is England’s captain and offers the element of experience that will compliment a forward line that is relatively inexperienced at international level in comparison. Lowered expectation levels may prove to be a blessing in disguise for Rooney and England, with the team able to express themselves more without fear of returning home to face the music of disappointment and anger from those who expected much more. The quality of players at Hodgson’s disposal should see England progress from a group which contains Wales, Russia and Slovakia, and while the latter stages may ultimately depend on how England apply themselves, repeating the level of performances that saw them overcome France and Germany in recent times could bode well. Rooney will have to work hard in the training camp during the build-up to Euro 2016, but if he justifies Hodgson’s faith in his ability and leadership qualities, then there is no reason why Rooney cannot lead play a leading role in France this summer.